Mars, Inc., UC Davis and partners have launched a crowdsourcing initiative to solve the problem of aflatoxin contamination of crops. A series of aflatoxin puzzles will go online on Foldit, a platform that allows gamers to explore how amino acids are folded together to create proteins. The puzzles provide gamers with a starting enzyme that has the potential to degrade aflatoxin. Gamers from around the world then battle it out to redesign and improve the enzyme so that it can neutralize aflatoxin. Successful candidates from the computer game will be tested in the laboratory of Justin Siegel, assistant professor of chemistry, biochemistry and molecular medicine at UC Davis. Aflatoxin was first discovered in 1960 and it is estimated that it contaminates approximately a quarter of the food crops in the world. The substance has been linked to stunting in children who consume it and it is estimated to cause 90,000 cases of liver cancer each year. The toxin disproportionately affects people in poorer countries with less rigorous crop testing. Approximately 16 billion tons of corn are lost worldwide annually due to aflatoxin contamination and no current strategies to prevent aflatoxin infestation have been successful. Speaking at the launch event in San Francisco, Howard-Yana Shapiro, chief agricultural officer of Mars, said: "4.5 billion people in developing countries are chronically exposed to aflatoxin through their diet - this simply cannot continue. We're excited to bring together this partnership using the innovative Foldit computer gaming platform. I hope today kicks off the process to say 'game over' to this silent but serious threat to food security." Foldit allows anyone in the world with a computer and an imagination to play. 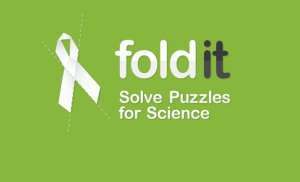 In fact, some of the best Foldit gamers have had no scientific training; the platform taps into humans' innate puzzle-solving abilities to solve complex scientific problems. The top aflatoxin designs will be synthesized using the latest synthetic biology techniques and materials donated by Thermo Fisher Scientific. All player designs will be available in the public domain, free of patents, in order to maximize the positive impact that this project could have on global food safety. "While aflatoxin has been a known issue for decades, advances in computation and biotechnology, coupled with the imagination of players from around the world, may finally result in a solution to this pressing problem," said Siegel, who is also faculty director of the Innovation Institute for Food and Health at UC Davis. "No single organization can tackle a problem this large, but the uncommon collaboration between the groups coming together here will enable us to not only discover a potential solution, but translate it in a way that has real impact." Anyone keen to put their gaming skills to the test and join the initiative to eradicate aflatoxin can play the Foldit game at fold.it.